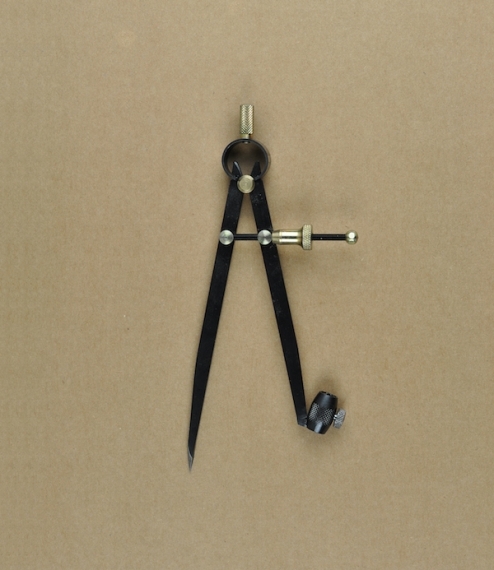 150mm black burnished forged carbon steel sprung pencil grip compasses, with tempered hardened points, bichromate screws, brass fittings, and a unique 2 part quick release adjuster. The jaw capacity of the compass at maximum extension (60°) is at 150mm equal to the length of the arms. 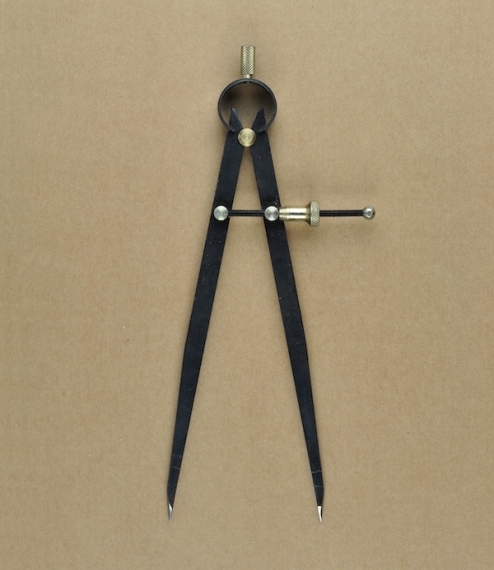 Made in the Saint-Etienne region of France by a company long dedicated to the manufacture of precision measuring and layout tools.